Want to have good quality, in addition to advanced equipment , but also has advanced sewing techniques . 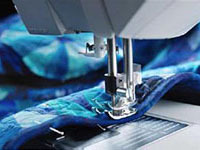 Especially in some of the higher difficulty sewing clothes, sewing technology affects the product quality merits directly. Askwear has rich experience in garment manufacturing, product quality by customers alike , and in the years of the production process, developed a series of sewing techniques , and applied for patent . In the production of high-end clothing can be well done, in ordinary clothing , can also be better handling at the details. Introduce a few simple sewing techniques , if your order requires special sewing techniques, please tell our staff. 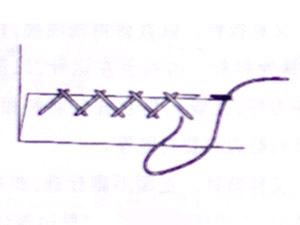 First forward run a needle ( stitch amount of about 0.3 meters) , and then back a needle ( about 0.9 centimeters ) , slightly oblique stitches potential . Because this needle is strong , so the split seam pants , fitted armhole often used . Cuff for fixing clothes , bottom and sides , such as pants . From left to right the needle . Positive does not reveal stitch , cross stitch the opposite trend. Is modified fabric edges, commonly used to prevent loose needle can be used for patch . 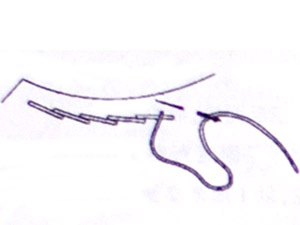 First cross pick needle , and then pick the needle vertical , vertical pick suture needle through from the bottom , in order to repeat to the desired length. 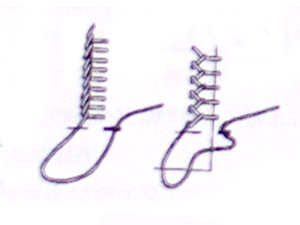 Catcher sew can have multiple variations.